This is annoying for users. So let’s fix that. What you need is one registration and login for both platforms. You need a shared usertable for both WordPress and MyBB. You do need a single signon for WordPress and MyBB. There have been some hacky WordPress Plugins arround for MyBB 1.4 that tried to solve this issue but they did not work on MyBB 1.6 anymore. You can also find some MyBB hacks but they are mainly outdated and have security issues. There is a new plugin at MybbAddons.com which uses another approach. It does not integrate the databases but hooks into the native registration functions of WordPress. If a user registers at your forum, the plugin will call the native WordPress registration function. This function will always work because it is the same function that usually handles a registration on WordPress. So if you update WordPress, the function used by the plugin will be updated too. At this point, you’ll hopefully have a lot of users already registered in MyBB and you don’t them to run the registration again. The plugin solves this issue too. Every time a user is logging in your MyBB forum, the plugin checks if there is an existing WordPress account. If there is none, it’ll call the registration function of WordPress again and create a new user account in WordPress. Even if the user decides to update his username, password or email adress, the plugin will update these values in the WordPress database too. The best part is that all user accounts are valid and untouched. You can update MyBB and WordPress. You can even remove MyBB or WordPress and keep the existing users in the other software! But there is one downside of the plugin. It requires a special PHP extension called Runkit. There are some installation hints for Linux and Windows Server available. Your server administrator will probably install it for you too. If you got the runkit extension installed, you need to upload and activate the plugin in your MyBB ACP. It comes with some settings that you need to adjust. You don’t have to do anything in WordPress. 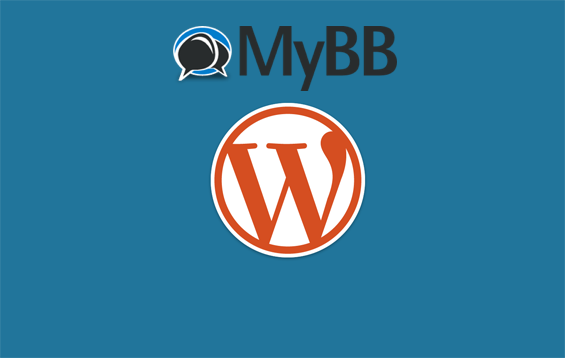 Go ahead, download the MyBB WordPress integration plugin and use both, MyBB and WordPress for Business! If you have any questions please post them in the comments section! Hi – I have struck a brick wall – runkit is not permitted on my shared hosting plan (Inmotion Hosting) and the next plan up is breathtakingly out of my price range. Are there any other methods available to embed a MyBB forum in a wordpress blog? You could eighter switch your host or try some different options like bbpress for example.